As the sun gets ready for it’s shift; a moon retiring by collating the images of moonlight marches and moon lit secrets… As the neon lights converse with the moonlight we take walk…. People going to temples for their routine stack of faith…. tea shops opening traditional tea to morning risers and delicious steaming snacked stare at you from glass cupboards…. we stop by one…. 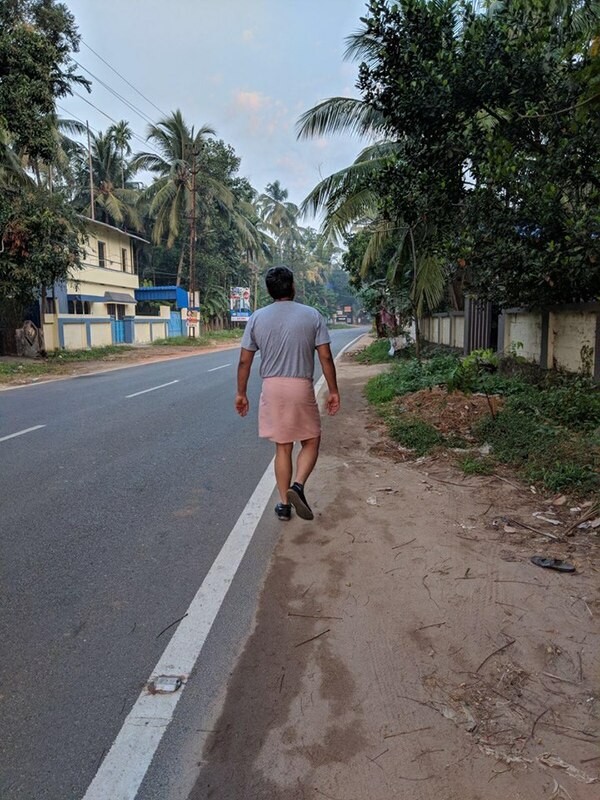 I am in Kerala, India; a place where there are more places of worship than tea shops… So it is natural that where you stop is always in front of a temple, church or mosque…. As we stand waiting for our tea and Vada enjoying the guy make it, I glance at the temple in front of us, people entering and exiting like a planned activity… must be the same people at the same time everyday…. As I ponder my total lack of faith in the divine, the tea is ready and we drink…. a truck speeds by and a stray dog walks by….. both not bothered of us standing there…. 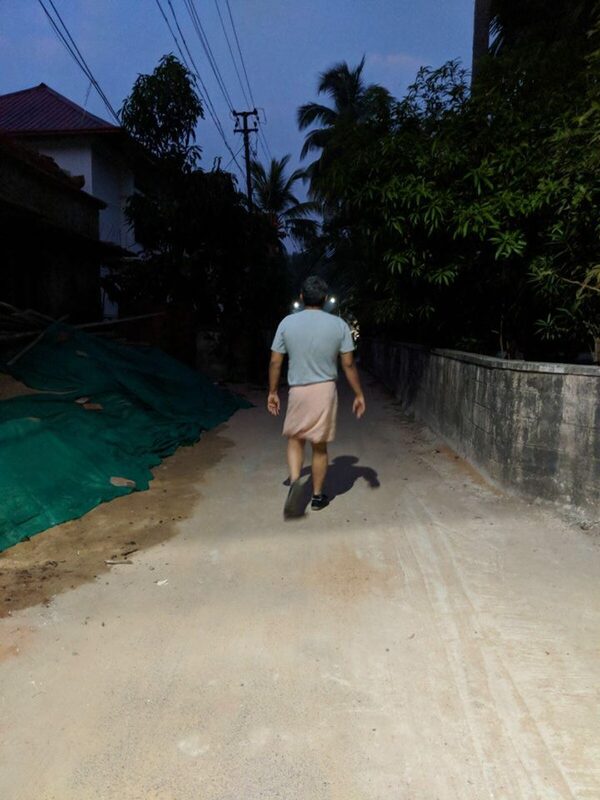 we start walking back… more sleepy souls have embraced the streets by then… a migrant worker from the north of India walks past us and I give him a warm smile…. he stares back…. surprised or may be he is still not awake…. As I walk thoughts start building up…. We are all immigrants in some place…. I have also been one for the greater part of my life and I have seen a look in the eyes of the self proclaimed lords of the land that in many parts of the world…that look…that ‘our land is better than yours?’ Look…. Borders…. physical demarcation across language, religion, culture… and so on…. but how well man infuses that same boundaries into their own consciousness….. borders, boundaries that confine man in his little world…..